Monitoring your premises has become a necessity. 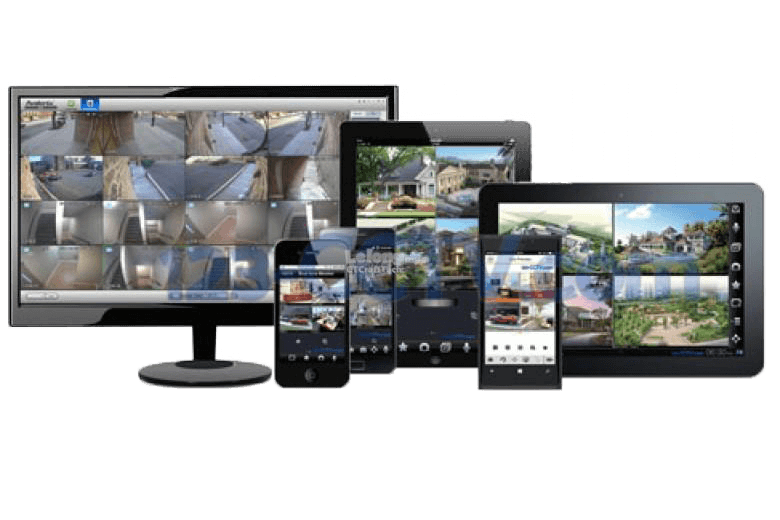 At Keeper security, we have spent over 20 years identifying and installing the latest technology CCTV systems, both in the commercial and domestic sector, ensuring that your property is monitored 24 hours a day without fail. CCTV Systems are a unique security solution because they do not just prevent crime but also help prosecute those who have committed crimes, preventing offences from happening again. Keeper security can offer all the latest technology CCTV from single HD analogue camera to Multi Site Multicamera complex IP solutions. 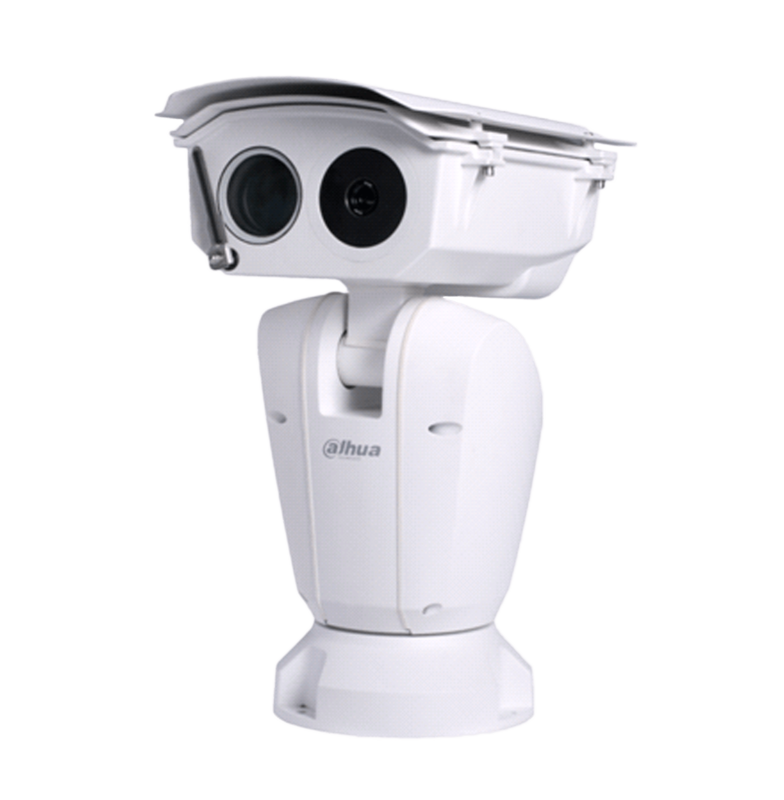 Until recently, CCTV was limited to analogue CCTV technology where lower quality cameras was the only option. 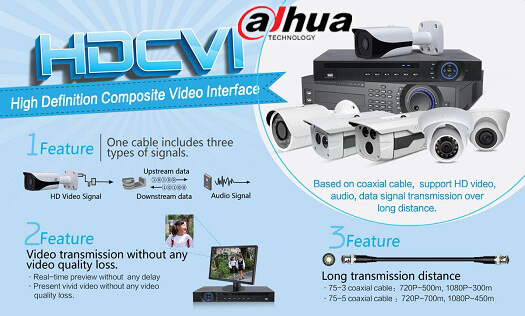 High Definition Analogue CCTV (CVI, TVI, HD-SID) is a new technology that although it utilises the same type of wires as the analogue system, it provides High Quality High Definition crystal clear images. HD analogue is quickly becoming the mainstream of analog video. 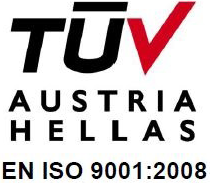 It is estimated that by 2018, over 90% of analog cameras will be HD analog (IHS 2016 report). At Keeper Security we can install new CCTVs but also upgrade any existing analogue system by adding more cameras, increase internal DVR storage (to allow for higher quality or longer recordings) and also refocus and move any cameras to improve your existing system’s quality. Easily upgrade older Analog systems. CCTV technology is amongst the first applications to enter the digital era by implementing Internet Protocol (IP) technology. An IP System is a digitised networked version of CCTV, where IP cameras can send and receive data over the network and the internet. 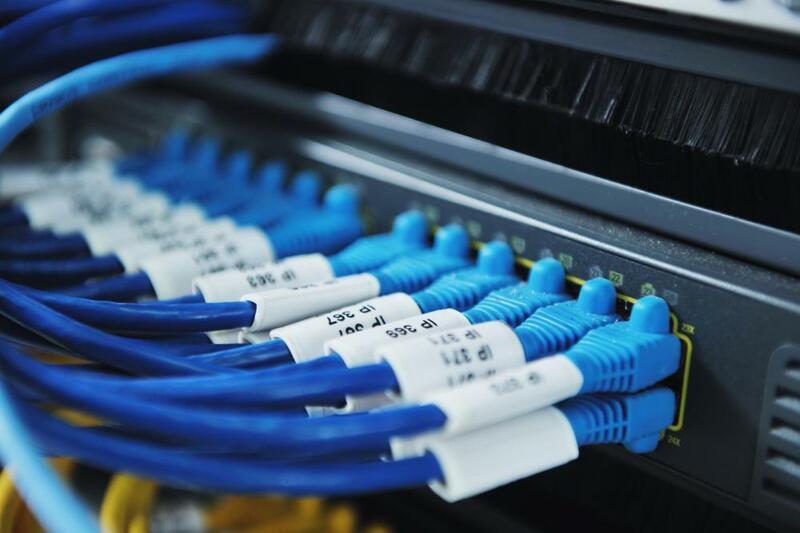 By utilising the network technology, an IP camera needs to be on the same network as the NVR (Network Video Recorder), eliminating the need for a directly connection between the two. In big projects with high number of CCTV Cameras installed, it can be difficult to monitor them effectivily. With Video Analytics software you can be alerted when there is an actual human movent in protected areas. 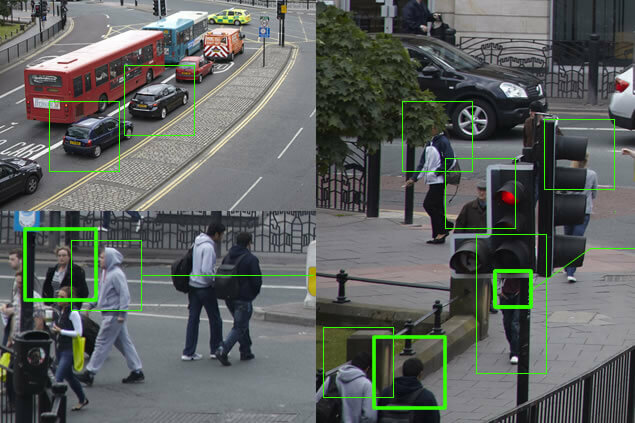 Video analytics can be installed in the camera, the NVR or as a 3rd party software. Whatever the method used Video Analytics can send you an alert by opening the affected Camera as pop up on tour monitoring screen, by sending you an email or as a push notification on your smartphone. Motion – An alarm is triggered when motion occurs in a defined area. Tripwire – An alarm is triggered when an object crosses the defined area. Intrusion – An alarm is triggered when a person or object enters or exits a defined area. Scene Change – Detects if there is a change in the scene and triggers an alarm according to the judgement. Abandoned/Missing Object – Detects when an object is abandoned or is removed from a specified area. People Counting – Counts the number of people entering/exiting a specified area. Heat Mapping – Analyzes body heat to highlight the area(s) with the highest population for monitoring activity and conducting business analysis. Pan Tilt and Zoom Cameras. Cameras of such technology can manually or automaticaly scheduled to rotate at 360 degrees direction and zoom to distances up to 200m. Enhanced with exttremely latest technology of IR Illumination with crystal clear images through the night. 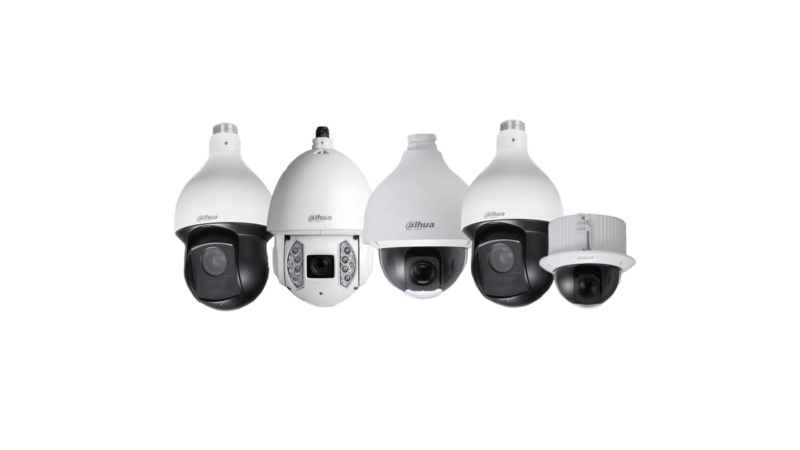 Panoramic cameras are the ones that can offer views of high angles. 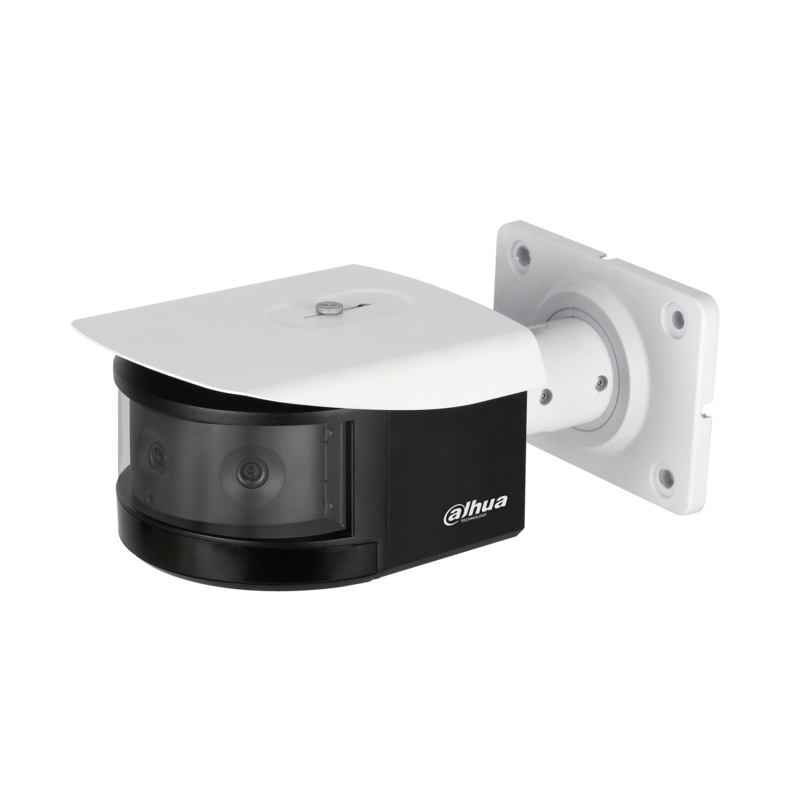 The can be installed horizontally to give 180 degrees angle view or on the ceiling offering 360 degrees angle view covering a room with only one camera. 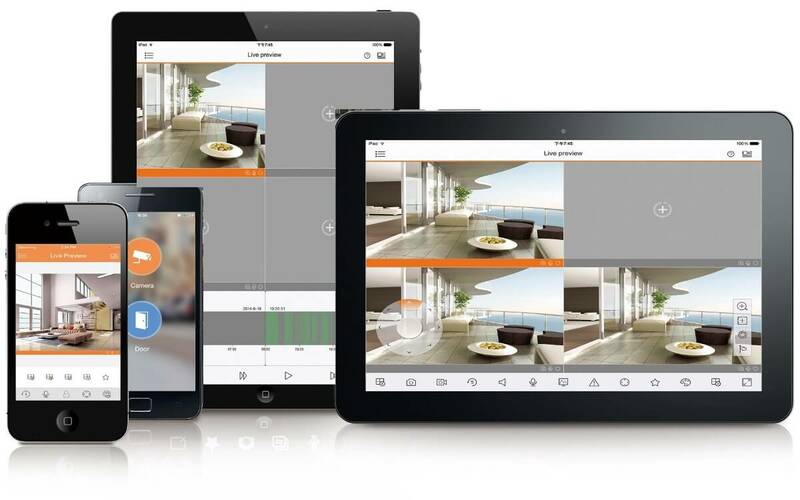 All of our CCTV Systems can be networked to allow remote viewing on your iPhone, iPad, iPod or Computer, so you can see your premises wherever you are in the world, as long as there is an internet connection. This means that even if you are away from your home, you can be sure that it is safe and secure with just the click of a button, and view it as if you were really there! User friendly applications are offered for both android and IOS. In addition webbroweser connectivity is available on all major webrowsers such as Chrome, Internet Explorer, Mozilla etc.